In Barbados, people are more concerned about what is in their drinking water. This trend is not unique to Barbados, but through-out the world more people are investing in water filters and filtration systems. Not only are people worried about the safety of the water they consume but they are equally as concerned about the taste of the water. Pollutants are the reason for bad taste and particles. The Barbados Water Authority is responsible for providing safe drinking water. Although they do their best to ensure the population has access to safe water, you can still purchase a faucet water filter for your kitchen faucets to ensure your water is of the highest standard. Filters remove particles, contaminants, and impurities from your drinking water as it flows out. However, purification systems not only remove what filters do, they also remove all minerals from the water. Regular water is filled with countless contaminates ranging from bacteria, algae, viruses, fungi, minerals and artificial chemical pollutant that cannot be detected by the naked eye. In Barbados, depending on which parish you live in, access to safe drinking water may be a challenge. One way to transform regular tap water into impeccably safe drinking water is to use a water filter, purifier or a water filtration system. These systems eliminate impurities and toxins via either a physical barrier or a chemical process. Not only are water filters useful in purifying tap water but they are numerous health benefits associated with home water filtration systems. For these reasons, home water filtration systems are absolutely necessary. Access to good drinking water systems is vital for healthy living. The toxins that are found in regular tap water does not only cause the water to taste awful but also contain toxins that could be detrimental to your health. Water filtration systems eliminate harmful organisms and purified filters help remove all the contaminants in the water making it safe to consume. As a result, drinking water systems that use a filtration system save us from hundreds of harmful bacterial and viral diseases that spread because of contaminated water. Drinking water systems that use purified filters clean the water through the process of sieving, ion exchanges and other techniques. This removes elements considerably smaller than the holes via which the water passes. Not all drinking water systems are identical and they are various type of water filters. Your choice for a water filter will be based on many reasons. First, consideration will be whether you own your home or not. For those in Barbados that own their home they can buy any filtration system. For those that do not, unfortunately you are limited to purchasing those that are the less evasive and easily removed. The price attached to each filtration system will differ with some systems costing under $100 and others, over $1000. Another way that these systems differ is in the amount of filtration they provide. To begin you should become aware of the different types of filtration systems on the market. Listed below is some of the basic types of water purification filters. The amount of contaminates present in your water and your needs will be the deciding factor in which filtration systems you ultimately chose. For those in Barbados who own their home they may want to consider whole house filters. They are assembled through the chief water line that comes into the house. 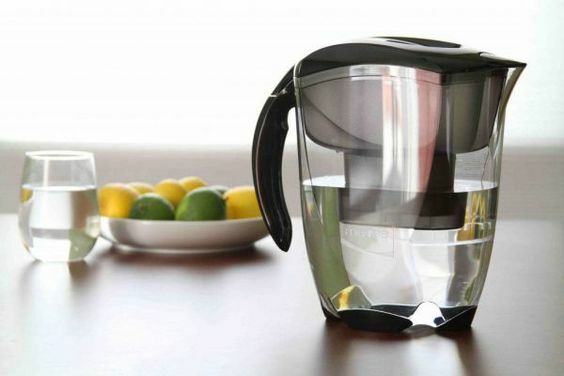 This kind of water filter eliminates impurities from all sources of water coming into your home. A whole house system is great for eliminating elements like rust and sediment. If you do not want a filtration system through-out your entire home, an under counter filters may be more suitable choice for you. This system only provides purified water where the purified filter is installed. They come in various styles, some carry multiple cartridges, while others only one. Each version of under the counter filters are created to eliminate different toxins. Some only remove particles while others remove particles plus smells and bad taste. Based on your preference and pollutants in your water you will buy the one that is most suitable for you. The other option available is a faucet water filters, these are mounted onto a faucet and are easily installed and removed. They are easily attached to the faucet by screwing it on. 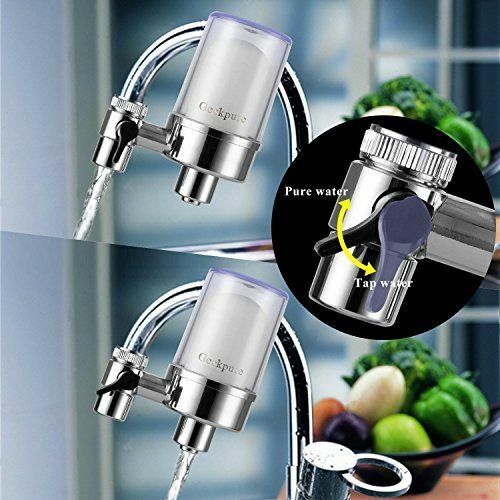 Only the water that is flowing from the faucet where the filter is installed is purified. Like the previous filtration systems, your need will dictate which purified filter you choose. The simplest of drinking water systems that provide purified water is the Canister Filters. They are essentially a pitcher/ jug with a filtration system in the lid. As you pour water in, it flows through the filter to the pitcher bottom removing the toxins, providing safe water to drink. The pitcher is the cheapest and easiest method. All you must do is fill the pitcher with tap water and allow it to filter. This can be a time consuming process and may not be the best option for instant use. The faucet mounted water filters are a reliable and easy way of obtaining filtered water. By simply attaching the filter to the faucet and turning on the tap, you have access to filtered water. Once a month you will be required to change the cartridge. Under the sink water filters are installed by a professional and the cartridges are replaced every six months. This system may not be suitable and practical for the average person. The whole house water filtration system provides purified water from all the faucets in your home and is superior to the under sink ones. Similar to the under sink filter the cartridges need to be change every six months. Another common filter is the ones that use reverse osmosis. These tend to be cheaper and more effective. Through this process five gallons of water is wasted for every one gallon of water filtered. Despite this, this water filtration system is better than all the other options listed because it removes the smallest particles. Whole house water filters are best for those that want clean drinkable water in their home. Not only does this drinking water system provide clean water, but it protects your pipes and appliance from corroding and protects your clothes. Washing your clothes with unfiltered water can ruin your clothes. Whole house water filters are a great option for apartments or offices even though they are more common in residential homes. In the beginning, it appeared that whole house filters would be the most expensive filter system however they are extremely cost-effective. When comparing the amount filtration which is a lot more than any other system, the whole house water filters is the better option. The price of this system generally ranges from two hundred dollars to one thousand dollars. However, the price will be based on the lifespan, material and size. Whole house water filters purify water in the same manner as other filters. 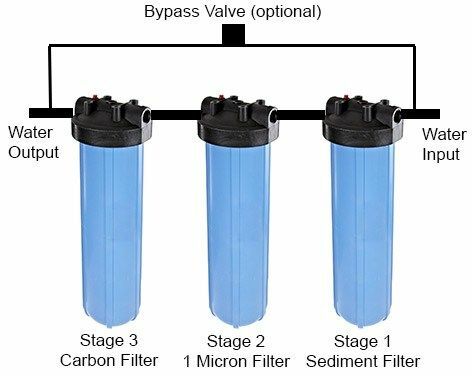 The big difference is that it only needs one filter, which is connected to the main water source, unlike the others that need multiple water filters to be connected to various devices. In comparison with other filters, whole house water filters purify tap water by driving it through numerous diverse stages of filtration. Carbon filtration is part of the process, carbon is a practical way of filtering water because of its absorbent qualities that can eliminate small and large impurities. This is vital in removing explosive organic carbon mixtures which in extreme instances can cause serious damage to the liver, kidney or central nervous system. Pesticides, industrial solvents and insecticides are also remove by carbon. Ionization or micron filtration is another important step in the filtration process. This step eliminates hundreds of contaminants present in water from the tap. After this process is completed you are left with clean, healthy, great tasting water. As stated above, the benefits of the whole house water filters is that they provide purified water for the entire house with just one filter. Another benefit of whole house water filters is the life span; they generally last a long time. They usually filter between fifty and one hundred thousand gallons of water. The main shortcoming of whole house filters is the higher cost in comparison to other systems. Despite the price these filters are very cost-effective. However, a large investment is needed to begin the installation and they require a large amount of work to install. Reverse Osmosis is the process of removing the tiniest particles from a liquid also known as Hyperfiltration. This process eliminates the smallest particles as small as a dissolved ion. This process is common in the purification of water for human consumption. Reverse Osmosis uses a semi-permeable membrane that lets the water pass through it, while guaranteeing that contaminants do not. Reverse Osmosis systems have developed throughout the years; a lot of person have installed them in their homes to provide water that is safe for their family to drink. This system successfully eradicates loads of contaminants from water; contaminants like chlorine, benzene, chloroform, barium, as well as others are remove via this process. These systems basically strip water down to its utmost basic form. If you live in Barbados to ensure your water is safe to consume you should invest in a water filter. Despite the Barbados Water Authority’s great efforts at providing safe drinking water in Barbados, a water filter will ensure that the water you and your family consume is of the highest quality. Newspaper headlines and articles have suggested that tap water may not be the safest to consume. To guarantee that you have access to water that is free from contaminants you should invest in a Reverse Osmosis system. Currently Reverse Osmosis systems outperform all commercial systems available. These systems are very effective at purifying water however they do not disinfect it. To disinfect water one should invest in an ultra violet light for your drinking water system. This light removes biological contaminants, by destroying biological toxins before they come into contact with your RO system, as a result guaranteeing the best drinking water. Another drinking water system that is very beneficial is an Alkaline water ionizer. This filtration system use ion to purify water. The end result of this process alkaline water. Defends DNA from oxidative harm. Improves blood sugar levels in persons who are diabetic. Enhances liver function exams in hepatic illnesses. Improves gastro duodenal ulcer and stops recurrences. Improves allergic syndromes such as asthma, urticaria, rhinitis and atopic dermatitis. Improves serum bilirubin levels in newborn babies. Electrolyzed oxidizing water inactivates Escherichia coli and Listeria on plastic kitchen cutting boards. It diminishes bacterial load of treated alfalfa sprouts between 91.1% and 99.8%. It can lessen food borne pathogens. It is a beneficial antiseptic for hospital infections. Drinking water systems like water filters and purifiers can be bought at numerous stores around Barbados or from online. Buying the best water filters ensures that your family has access to the highest quality of water. For those that do not have a large amount of money to invest in a water filtration system, faucet water filters are the cheapest and easiest options available.